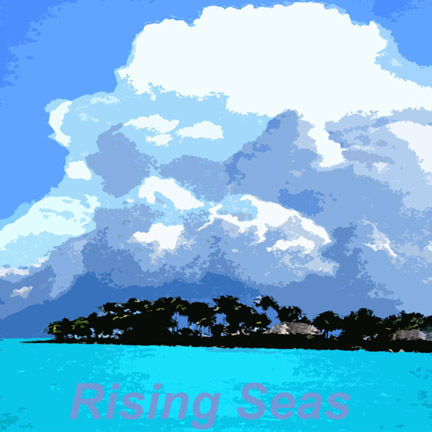 This Rising Seas print is of Manono, one of the Samoan islands that emerges just above sea level. Ominous clouds form behind the island signifying the peril of this remarkably beautiful place. Sale of these prints will go to fund the Nature Conservancy’s projects to support small island states under threat of sea level rise. To learn more about their situation click on Special Projects. Giclees (high quality archival ink prints on canvas wrapped stretchers) are 24” x24” and offered at $200..